Yidi | What Makes a Great Party Game? What Makes a Good Family-Friendly Party Game? The idea of making a party game that I can play together with my family has stuck in my head for a long time, so I should start thinking about how to make a good one! I looked at two party games I played the most: Mario Kart 8 Deluxe and Overcooked, and came up with a list of shared characteristics. I was surprising for me to find out that most of them contribute to one thing: inclusion - all kinds of players can find their position in these games. Here is how they achieved it. Players of party games are usually at different skill levels. A game is more pleasant and engaging for less skilled players when they always have a chance to win. Mario Kart 8 is a great example of how competitive games can welcome players with vastly different skill levels. It provides all kinds of balancing and “come back” mechanics which give every player a chance to win even when they are not the best. Well, at least it gives players the illusion of possibility of winning. In my opinion, the best mechanic that has such functionality is the blue shell. Yeah, we all know it’s annoying, but it has good reasons to exist. Blue shell makes sure that the players falling behind have a good chance of catching up. It balances the whole game by destroying the leading player. 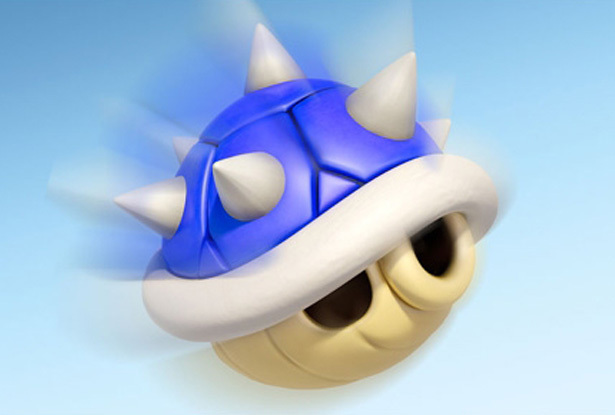 Also, while on its way to the leading players, blue shell can possibly hit every player in between. The only player that’s guaranteed to not be affected by the blue shell is the player who throws it. More fascinatingly, blue shell is not really the doom for the leading player - it’s possible to dodge the blue shell if you are really skilled enough. For example, the 1st player can slow down when he sees the blue shell in the minimap, so it’s likely the blue shell will destroy another player if he successful goes behind another player. Also, it’s also possible to dodge the blue shell if the leading player uses mushroom at the right time in 200cc matches. Therefore, blue shell gives less skilled players a good way to catch up, while also gives top players some ways to counter it. Blue shell doesn’t make Mario Kart a great esports game, but it does make the game more inclusive, and more charming for families. What if the game is coop? Well, make sure that every player can contribute. It would be boring as hell for someone who can only watch others play while having no visible ways to contribute. Overcooked did a good job on this by providing different things for players to do. For example, in levels where the players need to cook burgers, available actions are: getting lettuce, getting tomato, getting raw meat, getting buns, chopping lettuce, chopping tomato, chopping raw meat, frying meat, putting things together, delivering, and washing dishes. Some of these actions are harder while some are easier, so that less skilled players can take care of less challenging work, such as delivering and washing dishes. They are still able to make their contributions to the overall success. 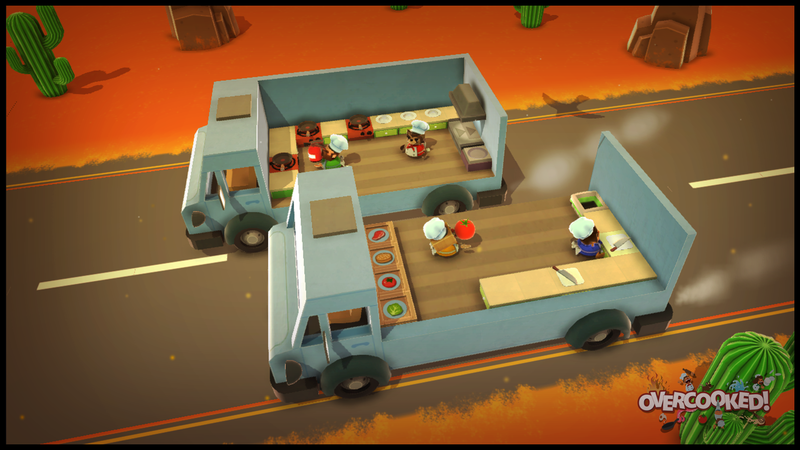 Overcooked also provides another context of doing this: dynamic levels. For example, in the truck level, it’s certainly much easier to stay in the upper truck and not move. It’s a perfect place for less skilled players to stay in. This point is actually an extension on how we can achieve the above two. A good party game should support different play styles so every player has his own way of having fun. A nice way to do this is to provide difficult levels in a shared game world. Mario Kart 8 did this through its various advanced mechanics, such as drifting, mini-turbo, hopping, tricks, shortcuts, etc. These techniques are always in the game, but the players don’t need them to play the game (I personally knew nothing about these mechanics in the first two hours). Experienced players can certainly take the risk and challenge themselves to have fun. While less skilled players can spend all of their attention trying to stay on the track. Some players are satisfied by picking up items and mess things up. They would be very happy if they successfully slows the leading player down - that could be what they want to do and the game supports that. Mario Kart also provides overall difficulty selection through speed levels (50cc, 100cc, etc), so it’s easier to invite new players to join the party. Overcooked provides a mechanic that does a similar thing - charging. Charging enables a player to move quickly in a short amount of time, but is risky. It’s possible to knock other players back while charging. But this mechanic does create a nice playground for skilled players. Players also emergently take up different responsibilities and put on different hats while playing - Chief Chopping Officer, Senior Delivery Man, Legendary Dishwasher, etc. As mentioned before, each role has different difficulty level and also provides a way for players to express by playing in their own way. In addition, Overcooked uses 3-star scoring system, players can define their own goal depending on their collective skill level. Apparently, both games have vibrant art styles. What makes it even better is that players can customize their characters. This is another good way to allow self-expression and various styles of play. Both games provide the context for really funny and memorable moments. It could be a key blue shell in Mario Kart 8, or a dish delivered in the last millisecond in Overcooked. This ties back to the importance of player story. Party games will bring more value by giving players something to talk about, and players will in turn willing to player longer and share the joy. Now as players have something to talk about, the game should allow them to talk! Both games have very short play sessions, and have a gap between sessions. These gaps are the perfect timing for a quick chat that reinforces player experience and help players strengthen their relationship with each other. Also, these gaps let players rest a little bit, so they can prepare themselves for more challenges. So these are my findings. They are by no means exhaustive, but I think they make a good foundation for good party game design.